As part of your carbohydrate loading strategy, consume up to 4 servings per day with or between meals to help achieve elevated carbohydrate intake. GO Energy can also be consumed with GO Energy bars to further boost carbohydrate intake. To provide both optimal energy and hydration during exercise, GO Electrolyte is superior to GO Energy. For easy mixing use Science in Sport drinks bottles which have markers to indicate the correct level of powder. Or, add one 50g GO Energy Sachet to 500ml of water in a bottle & shake well ensuring the lid is firmly closed. A major cause of fatigue in endurance exercise is depletion of carbohydrate energy stores. GO Energy provides a practical solution to increase carbohydrate intake to boost our muscle glycogen stores prior to training or competition. 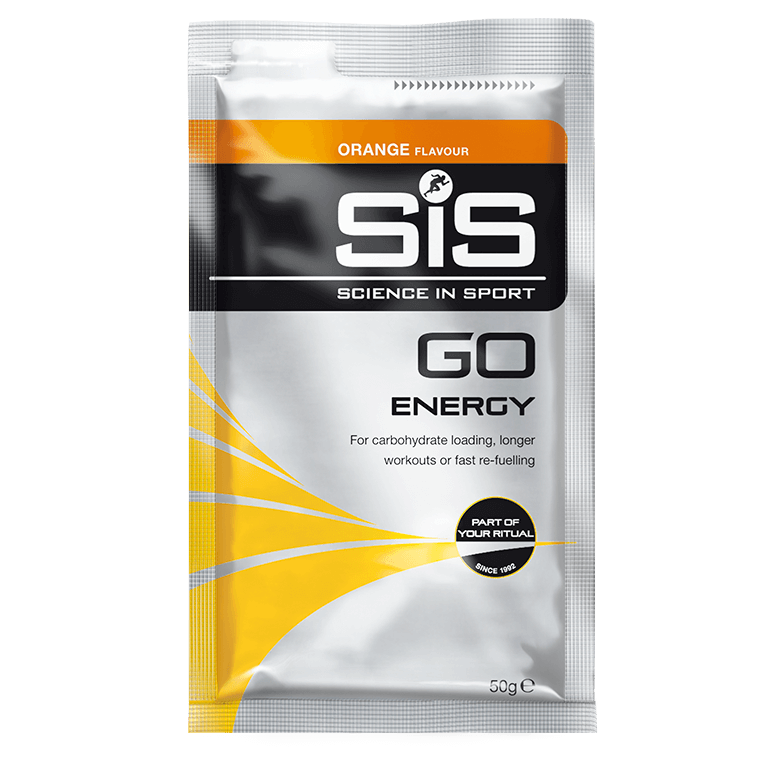 We recommend that GO Energy is used for carbohydrate loading in the run up to and/or during high intensity endurance exercise for fast energy. Can I mix this with GO Electrolyte to get all the benefits? No, this would increase the carbohydrate concentration and may not sit well in your stomach. GO Energy is designed specifically to meet your energy demands. To hit both energy and hydration goals, use GO Electrolyte.